As the nights draw in and the days get shorter it’s time to snuggle up and share stories with friends and family. 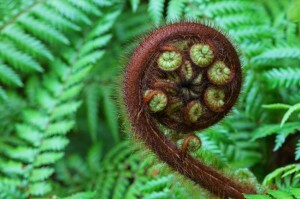 Step back in time and discover the myths and legends of long ago that helped shape Aotearoa. Listen to the legends of Matariki and how those stars came into being so that next time you look up at the night sky it will have a whole new meaning for you. This is the time to celebrate the Māori New Year and we would love you to join us for a special Matariki story time. Come and write a wish on a star and hang it up for the New Year – wishes for your family, peace in the World or your best friend. What’s your wish going to be? 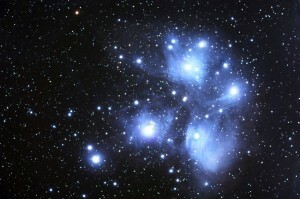 Keep looking at the blog for more about Matariki! Matariki: What is it all about? Matariki, the Māori New Year, means ‘tiny eyes’ or ‘eyes of god’ and is celebrated in June when a small group of stars called Pleiades rises above the horizon, bringing the old year to a close and starting a new year. Various Māori tribes celebrated Matariki at different times. Some held festivities when Matariki was first seen in the dawn sky; others celebrated after the full moon rose or at the beginning of the next new moon. The full moon was celebrated in Wellington on June 6 this year, making the start of Matariki. Matariki is celebrated for the rest of month, and different tribes and Iwi celebrate the New Year in a variety of different ways. Traditionally, Matariki was a time to finish storing food for the winter, weave new clothing and baskets, listen to the stories of our ancestors, and learn about the natural world. Nowadays, New Zealanders are more likely to get together with family and friends, talk about Māori myths and culture, look at the stars through telescopes, and watch kapa haka performances. If you want to learn more about Matariki, head on over to our catalogue, or check out the Kiwi Families website for heaps of cool ideas and craft activities. You can find out about Matariki events in Wellington at the Matariki Wellington website. Happy New Year to everyone, we hope you have a wonderful time welcoming in 2015! For those that can’t wait, you can download eBooks and eAudiobooks from our eLibrary. 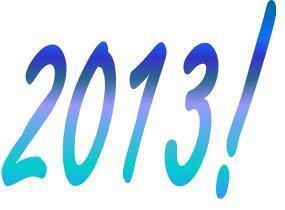 Can you believe is it very nearly 2013 already?! Have you got any exciting plans or resolutions you want to make for 2013? We’d love to hear about them. We librarians will be busy celebration the New Year as well, so the libraries will be closed on January 1st and 2nd. But don’t worry – we’ll be open again on January 3rd for you to grab your books and DVDs for the holidays. Looking for something to do? Try the Summer Reading Challenge!